Some Mysteries Should Never Be Solved. 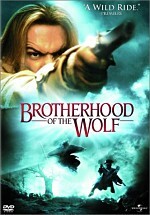 Martin David, a skilled and focused mercenary, is sent into the Tasmanian wilderness on a hunt for a tiger believed to be extinct. Hired by an anonymous company that wants the tiger's genetic material, Martin arrives in Tasmania posing as a scientist. 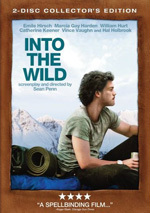 He proceeds to set up base camp at a broken-down farmhouse, where he stays with a family whose father has gone missing. Usually a loner, Martin becomes increasingly close to the family. However, as his attachment to the family grows, he is led down a path of unforeseen dangers, complicating his deadly mission. $19.032 thousand on 4 screens. “Man vs. beast” offers the nominal theme at the heart of 2011’s The Hunter. Mercenary Martin David (Willem Dafoe) gets a job from a military biotech firm called Redleaf. They want him to head to Tasmania to hunt the Tasmanian Tiger, a creature believed to be extinct. Redleaf thinks otherwise, and they want to use the animal’s genetic material for their own purposes. Time is of the essence, as other firms may already know about the Tiger and be ready to send their own hunters. David poses as a scientist and sets up camp with a local family. In that setting, he encounters two Armstrong kids: Sass (Morgana Davies) and Bike (Finn Woodlock). They live with their mom Lucy (Frances O’Connor), as their eco-conscious father Jarrah went missing quite a while back; since the locals dislike “Greenies” who interfere with their jobs, some suspect foul play. Local guide Jack Mindy (Sam Neill) warns David that he may encounter the same fate if he doesn’t tread lightly. Mindy takes David into the wild, where he explores in search of the Tasmanian Tiger. We follow that journey as well as complications both professional and personal. Going into The Hunter, I admit I came with certain expectations. This seemed likely to be a taut drama in which we witnessed a man’s harrowing attempt to deal with a variety of natural challenges and beat the odds to capture his prey. Nope. Hunter delivers a decidedly schizophrenic experience, as it splits its time between David in the wild and David at home with the Armstrongs. I suspect that this dichotomy exists to make David a more three-dimensional character, and in that regard, it succeeds. While a movie like this would usual give us a fairly standard stoic dude who survives despite the physical difficulties, so the manner in which David bonds with the Armstrongs adds depth. But not particularly interesting depth, unfortunately, as David’s constant palling around with the Armstrongs robs the movie of potential tension and drama. The two sides of the movie just don’t meld together very well, for try as it might to connect them, the “David as surrogate daddy” scenes feel out of place. It doesn’t help that Hunter attempts to use the Armstrong segments to further the plot in a clumsy manner. We learn that Jarrah believed he could find a Tasmanian Tiger, and his mute son Bike doles out clues to David via drawings. Someone really thought this sounded like a good idea? Again, it feels more like an awkward attempt to get David to bond with the youngster than an organic story device. I think the audience would rather see David locate the Tiger on his own without assistance from a cute little tyke. Hunter throws in other complications that it doesn’t really need. It uses the tensions between the “Greenies” and the townsfolk, and there are other related elements. It doesn’t require these to succeed, as they also feel like distractions; they do little more than take us away from the logical focus and water down the experience. Maybe these “flaws” stem more from my expectations for the genre than from anything the filmmakers do. Maybe if I came into The Hunter with a different viewpoint, I’d discover more positives than I currently identify. I get that the movie does want to be more about David’s evolution and growth as a human than his hunt; while I expected it to concentrate on the latter, I understand that the emphasis on David’s personal feelings acts as a major theme. I just don’t think it works. The film does come to a moving climax, but even that succeeds because of David’s connection to the Tiger; his feelings for the Armstrongs still don’t really resonate. In the end, the movie suffers from “jack of all trades” syndrome, as it spreads itself too thin. Rather than concentrate on specific plot elements, it dips its toes in a mix of areas that leave it without much impact. 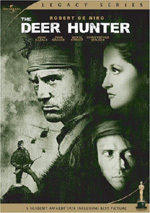 The Hunter appears in an aspect ratio of approximately 2.35:1 on this Blu-Ray Disc. This was a very good – and often great – image. Sharpness was fine. A few shots could be a little soft, but the majority of the flick came across as accurate and concise. I noticed no issues with jagged edges or shimmering, and edge haloes were absent. No source flaws materialized either. Colors were positive. The movie opted for a chilly, blue palette much of the time; a few shots went with warmer hues, but this was the dominant impression. Within those stylistic choices, the tones appeared good. Blacks were dark and deep, and low-light shots exhibited nice clarity. Across the board, this became an impressive transfer. I thought the film’s DTS-HD MA 5.1 soundtrack was fine for the material. Much of the film opted for general ambiance. When David went into the wild, the mix opened up a bit better; gunshots and thunderstorms provided the most engulfing material. However, most of the audio remained low-key and environmental in nature, which was appropriate for such a restrained narrative. Audio quality pleased. Music was full and rich, while effects showed strong accuracy and range. Speech was natural and distinctive; some accents affected intelligibility, but the recordings themselves were fine. Overall, this soundtrack suited the film in a positive manner. When we shift to extras, we launch with an audio commentary from director Daniel Nettheim and producer Vincent Sheehan. Both sit together for this running, screen-specific look at the source novel and its adaptation, other story/character areas, cast and performances, sets and locations, visual design, stunts and effects, costumes, cinematography and other areas. From start to finish, Nettheim and Sheehan deliver a strong commentary. They fill the track with interesting notes and make it proceed at a brisk pace. This turns into an informative and insightful chat that adds to the film-watching experience. 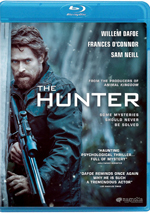 The Making of The Hunter fills 32 minutes, 50 seconds with notes from Nettheim, Sheehan, production designer Steven Jones-Evans, director of photography Robert Humphreys, and actors Sam Neill, Frances O’Connor, Willem Dafoe, and Marc Watson-Paul. We learn about the source novel and its adaptation, story, character and thematic elements, cast and performances, shooting in Tasmania, sets and production design, and some thoughts about the Tasmanian Tiger. Overall, this proves to be a pretty good program. Inevitably, it repeats some material from the commentary; that track delivers so much information than repetition was unavoidable. Still, it’s nice to get additional perspectives and footage from the set, so this becomes a useful piece. Seven Deleted Scenes occupy a total of six minutes, 39 seconds. These tend toward minor additions. We see more of David with the kids as well as a clearer depiction of Mindy’s feelings toward Lucy. We also get a little more about the attitudes of the locals and the “Greenies”. None of these prove to be terribly interesting; at best, they deliver a smidgen of unnecessary exposition. We can watch the cut material with or without commentary from Nettheim. He tells us a little about the scenes as well as why he cut the segments. Nettheim continues to provide good information here. The disc opens with ads for Marley, Take This Waltz, God Bless America and Apartment 143. These show up under Also From Magnolia Home Entertainment, and we get the trailer for Hunter, too. The tail of an isolated mercenary who opens his heart, The Hunter bites off a bit more than it can chew. The film tends to undercut its drama too often and suffers from erratic pacing and tone. The Blu-ray provides excellent picture and good audio as well as some useful supplements highlighted by a strong commentary. All involved create a professional movie with The Hunter but it usually remains curiously flat.